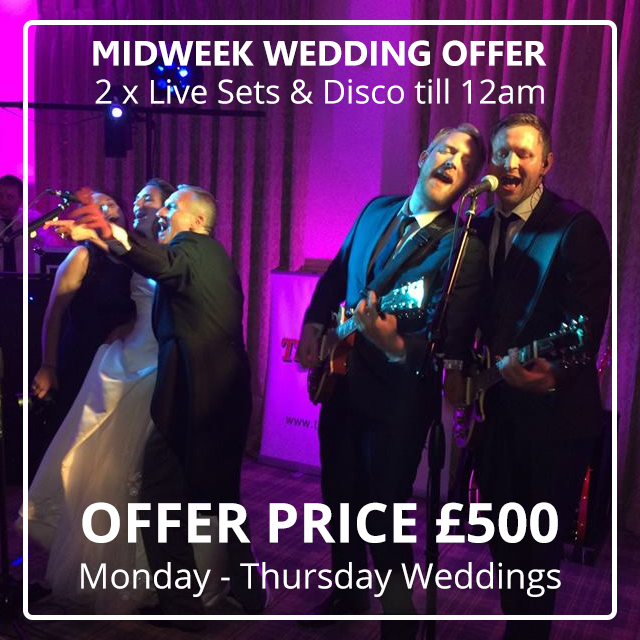 MIDWEEK WEDDINGS – SPECIAL OFFER! For a short time only we are offering a special package to loved-up couples who are planning a midweek wedding in 2015. 2 x 45 minute sets of Live Music and full disco service from 7:30pm – 12am.